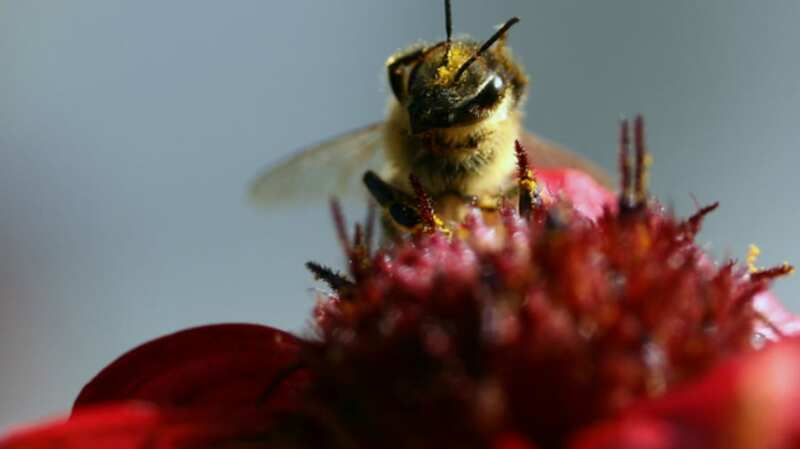 Efforts to protect honeybees may be doing more harm than good. Scientists say the antibiotics routinely administered by beekeepers wipe out beneficial bacteria in the bees’ guts, making them vulnerable to other pathogens. They published their findings in the journal PLOS Biology. These are hard days for honeybees, and apiarists are doing all they can to keep their charges healthy and safe. Twice a year in North America, Asia, and parts of Europe, many beekeepers dose their hives with preventative antibiotics. The drugs may be dusted on the hive or added to the bees’ food to ensure that each insect gets its medicine. But, as we’re learning in humans, blanket treatment with antibiotics is not really a great option. The more antibiotics we use, the faster pathogens develop antibiotic resistance, and the drugs kill helpful bacteria along with the harmful stuff they’re meant to treat. Scientists wondered if the same was true for bees. To find out, they brought about 800 bees from long-established hives into the laboratory and split the bees into two groups: the treatment group, marked with a dot of pink paint, and the control group, marked with a dot of green. Bees in the treatment group were fed syrup laced with antibiotics; the control bees got plain syrup. After five days of regular syrup meals, the researchers put all the bees back in their hives and waited. Three days later, they collected the painted bees—dead or alive—and took them back to the lab. Right off the bat, the scientists could see a clear difference between the two groups. Two-thirds of the plain-syrup-eating bees had survived, but only half that many from the antibiotic group had made it. The scientists brought in another group of bees, gave half of them antibiotics, and exposed all of them to a pathogen strain of the bacterium Serratia. One week later, treated bees were significantly more likely than untreated bees to have died. The antibiotic hadn’t protected the insects from the bacteria—in fact, it may have made them more susceptible. The scientists gave the bees a relatively low dose of antibiotics, but say commercially kept bees are likely exposed to higher levels and for longer periods of time. Lead researcher Nancy Moran is an integrative biologist at the University of Texas, Austin. She said her team’s results really underline the relationship between healthy gut bacteria and survival. She emphasized that she and her team are not advocating for an all-or-nothing approach, for bees or for humans. "We aren't suggesting people stop using antibiotics," she said. "Antibiotics save lives. We definitely need them. We just need to be careful how we use them."